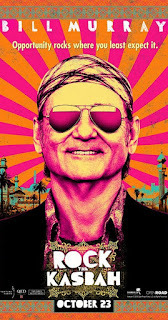 If all you want is Bill Murray being Bill Murray, then you might be satisfied with ROCK THE KASBAH. 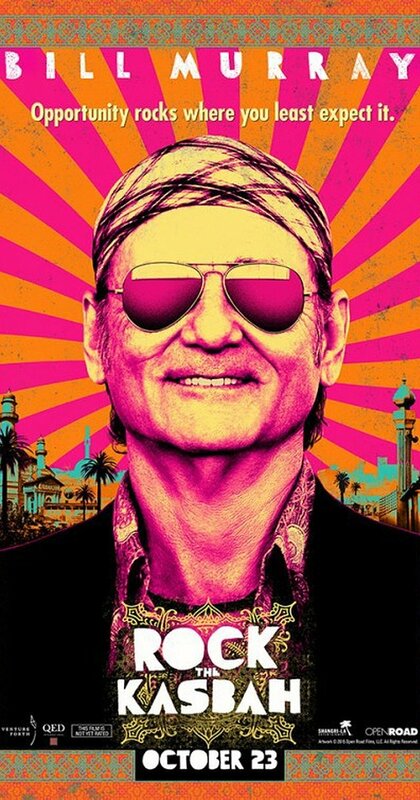 As usual, Murray is funny and likeable as Richie Lanz, a washed up agent/manager who gets stranded in Afghanistan when the singer he has booked for a USO tour (Zooey Deschanel) goes awol and takes Richie‘s passport with her. If you want more than that, however, you’ll be sorely disappointed in this trite, cliché ridden film written by Mitch Glazer and directed by Oscar winning director Barry Levinson. What we have here is a standard issue fish out of water story (Richie trying to deal with the alien customs of Afghanistan) mixed with a rags to riches tale (Richie discovers talented young Pashtun girl Salima (Leem Lubany) singing Cat Stevens songs in a cave and decides he’s going to make her a star). As an added bonus, we also get the tiresome cliché of Richie falling for a prostitute (Kate Hudson) with, you guessed it, a heart of gold and a sharp mind for business. And of course Hudson is 29 years younger than Murray. These overly familiar plots are set against the backdrop of the volatile situation in Afghanistan, which is used as little more than exotic flavoring. The film shows little if any real understanding of or interest in the Afghani people, their culture, or their conflict. And while Salima’s story is based to some degree on the real life story of Lima Sahar, it is of course rewritten it so that it’s Murray’s character who is largely responsible for her success, and the very real repercussions Lima faced as a result of breaking cultural taboos are watered down considerably. Perhaps the saddest thing is that no one involved seems to realize how bad and vapid the film is. Just read this article in which Glazer compares his film to M*A*S*H* and CATCH 22. Sorry, dude, not even close. 2 out of 4 stars.